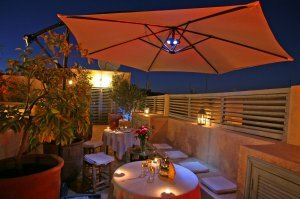 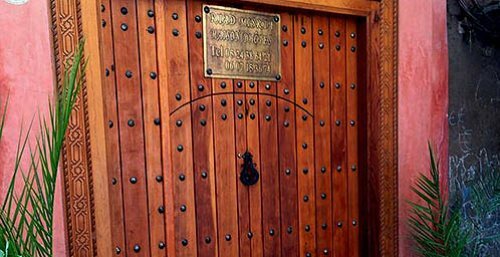 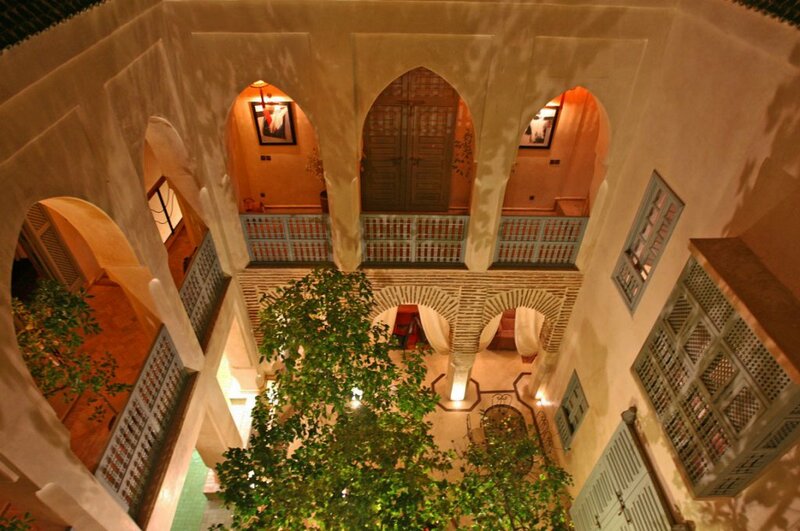 The Riad Misria is located in the Médina, just 1 minute away from Mederssa Ben Youssef and less than a 10-minute walk from the famous Jeema el Fna square. 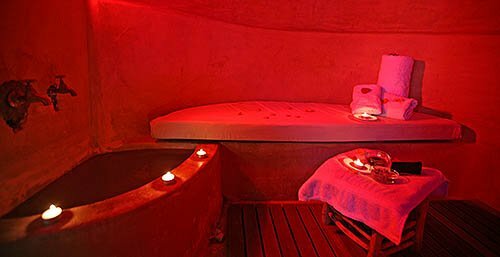 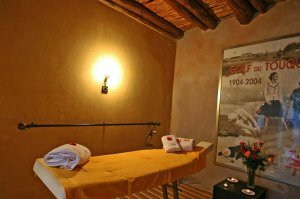 It offers a hammam, massage treatments and fitness area. 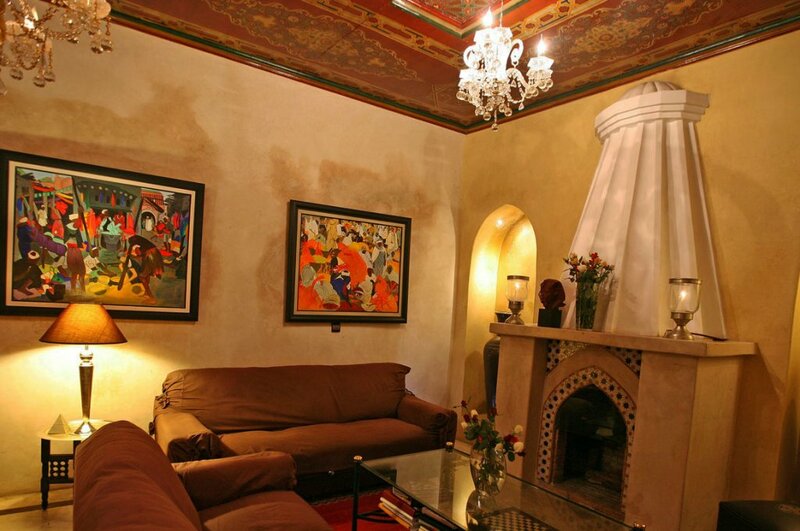 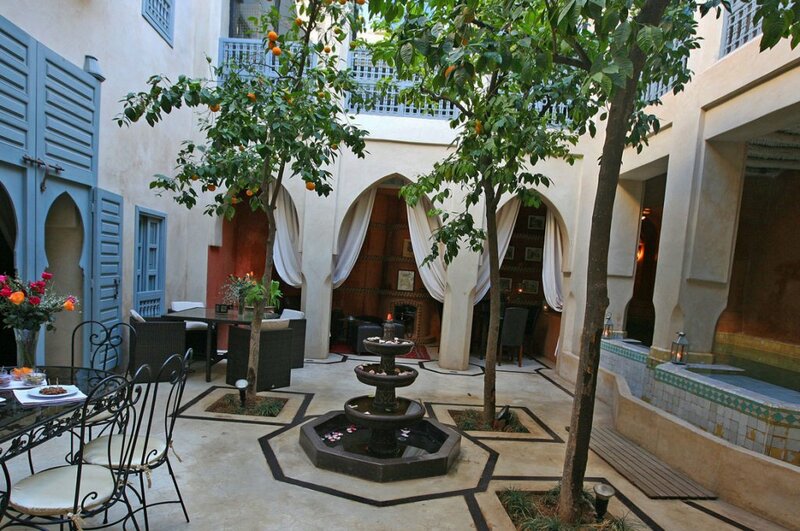 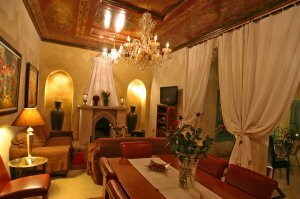 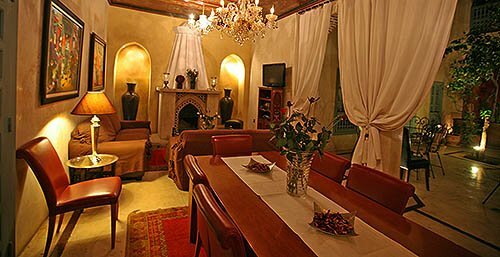 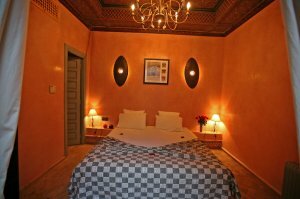 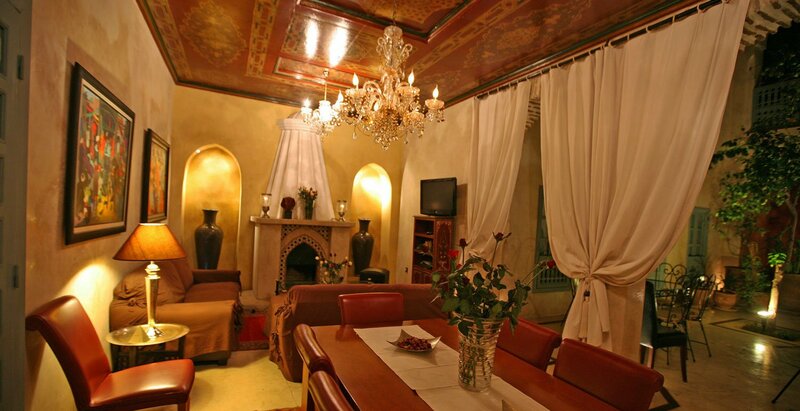 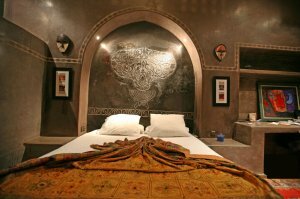 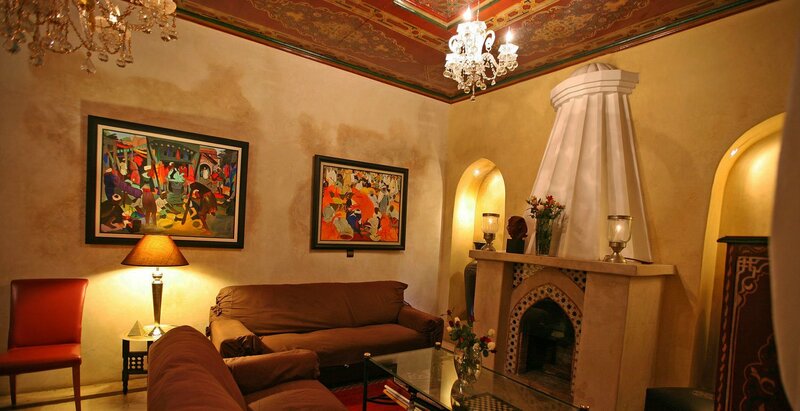 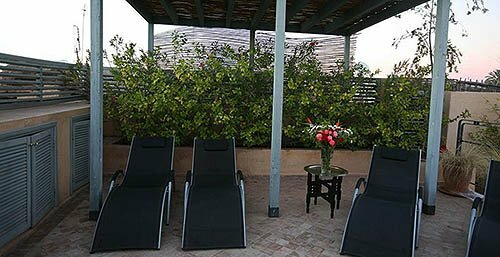 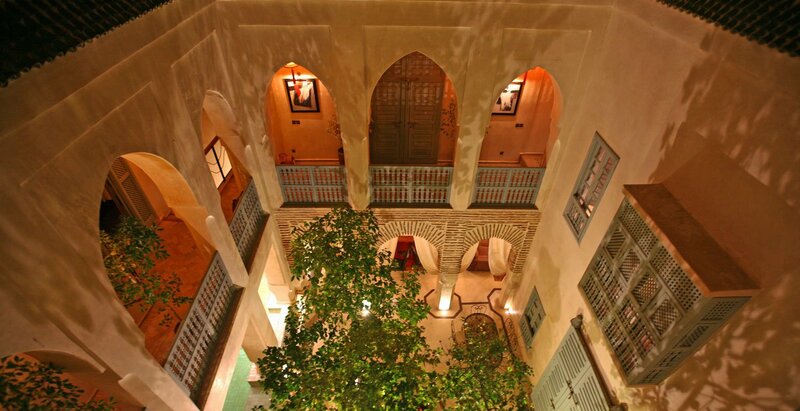 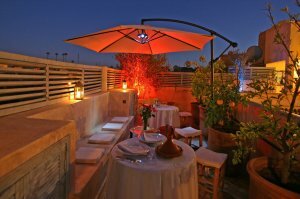 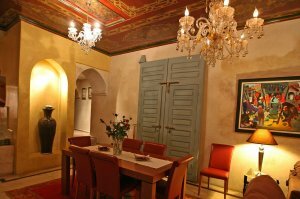 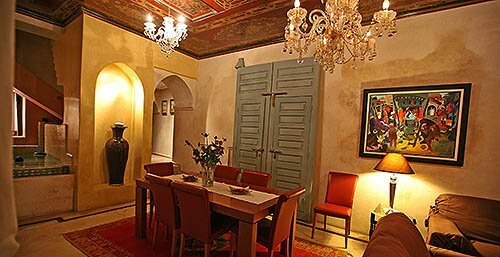 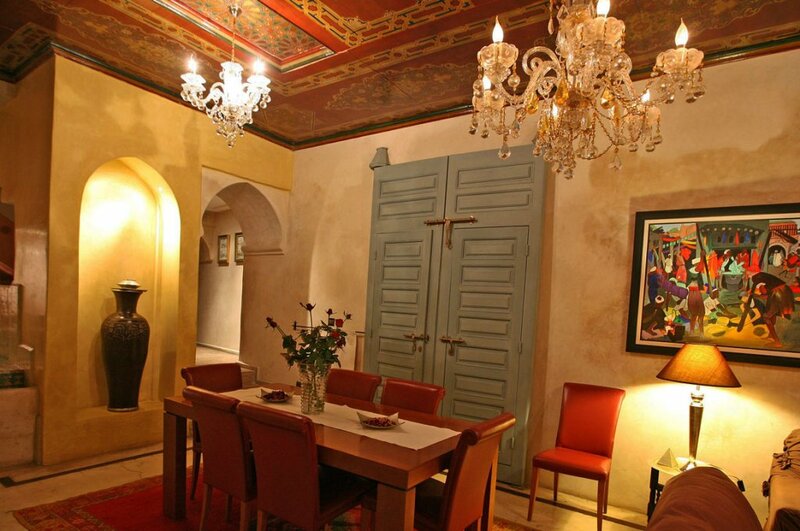 Riad Misria consists of 6 elegantly decorated rooms and suites. 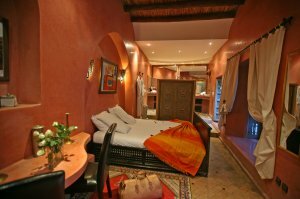 All of the rooms can be heated or air-conditioned and have a private bath or shower. 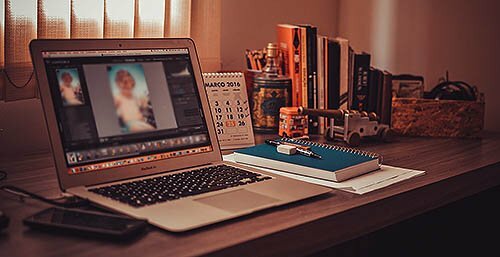 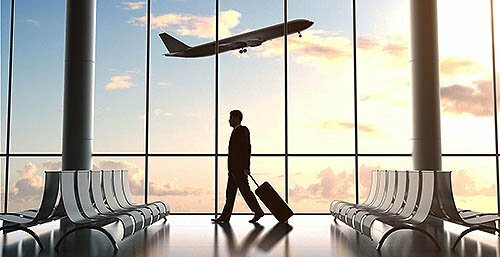 Wi-Fi internet access is available and free of charge. 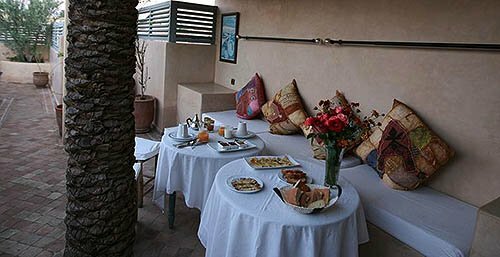 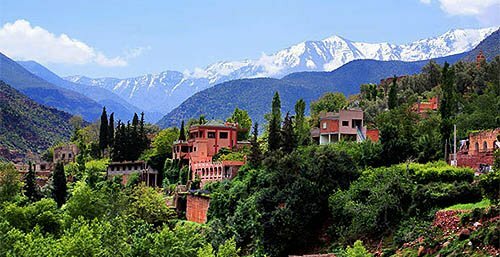 The panoramic terraces at the Riad Misria overlook the souks and offer an outstanding view of the snowy peaks of the Atlas Mountains. 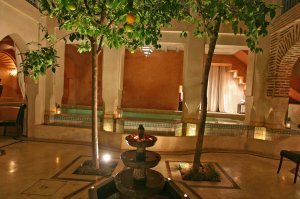 A large room, two sitting areas with fireplace, and a large overflow swimming pool surround the large courtyard planted with trees and its traditional fountain. 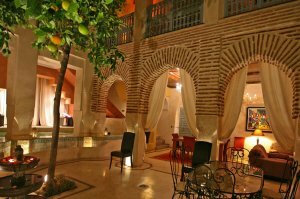 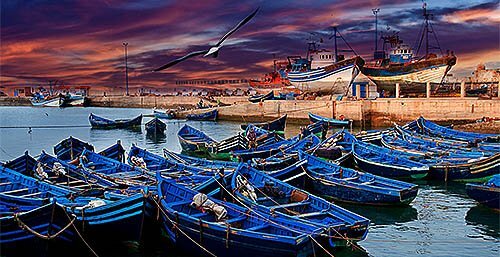 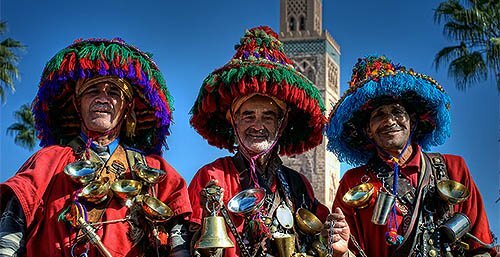 Medina is a great choice for travellers interested in markets, shopping and street markets. 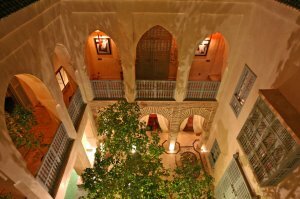 Wi-Fi is available throughout the Riad. 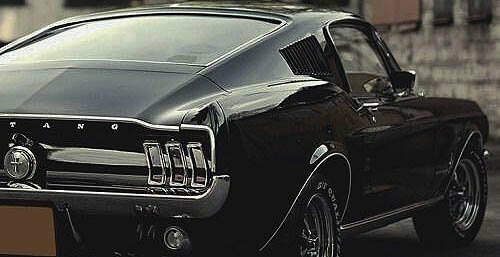 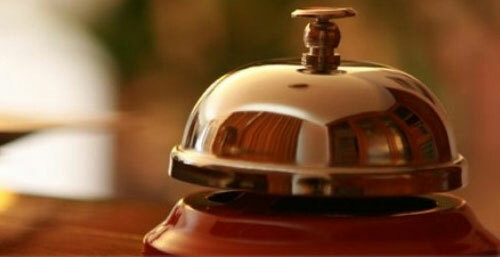 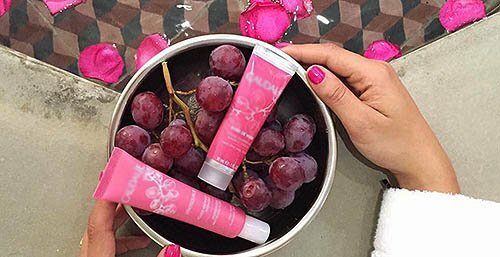 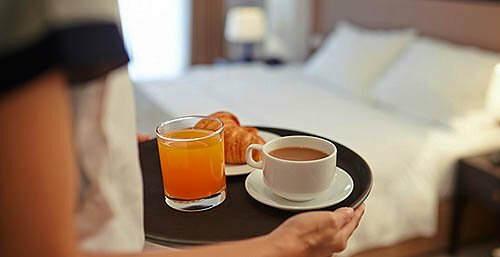 For your convenience, we provide room service. 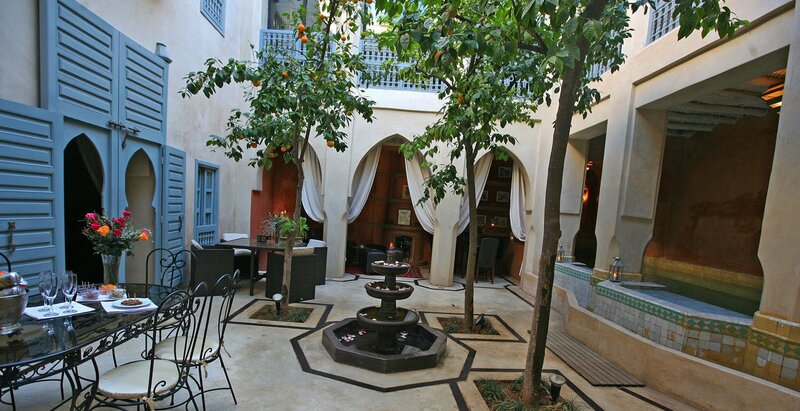 You can relax and enjoy the sun of Marrakech on our arranged terraces and lush green. 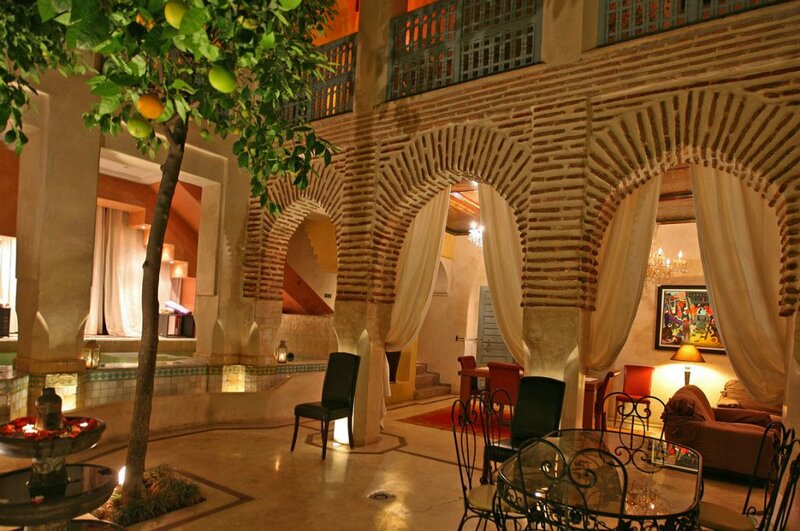 Our cook will make you discover Moroccan cooking like chicken tagine with lemon and olives or the famous couscous. 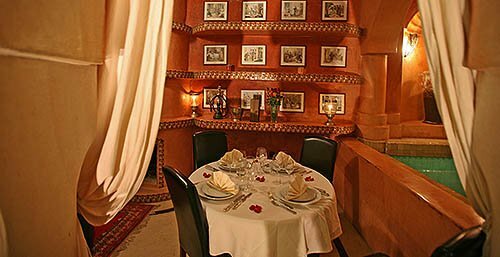 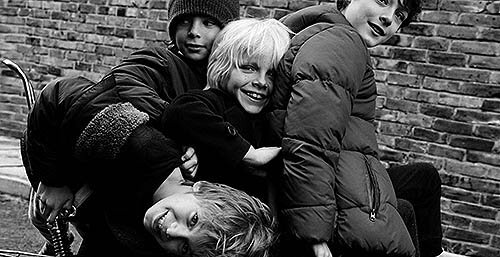 Lunch or Dinner: From 20 € per adult 10 € per child. 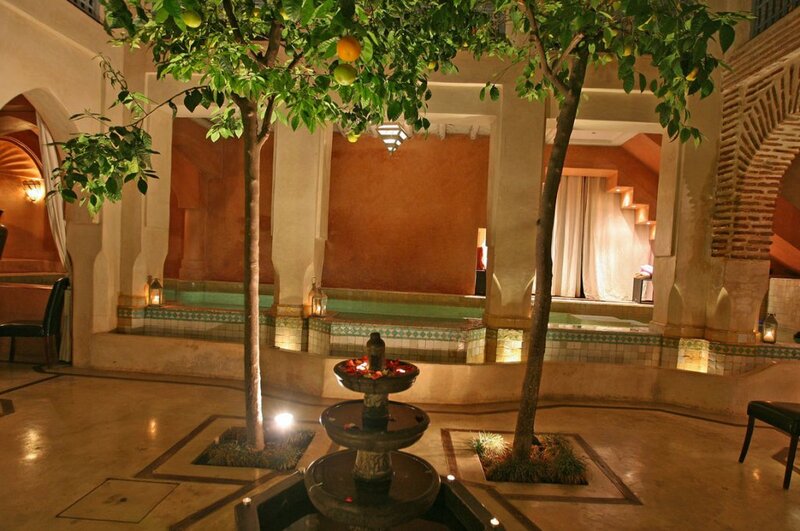 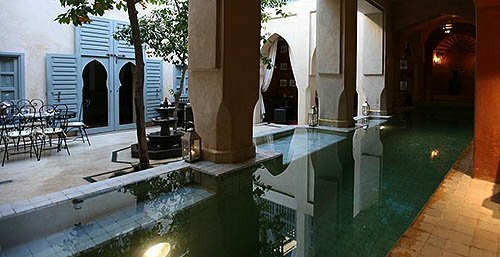 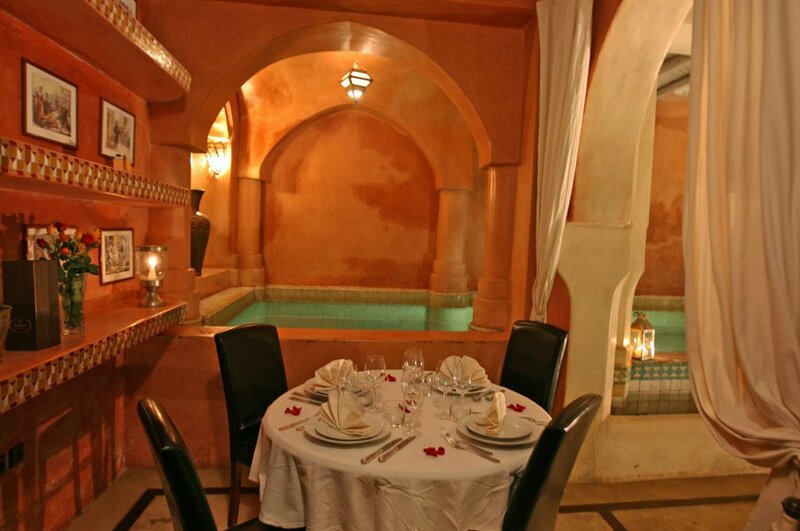 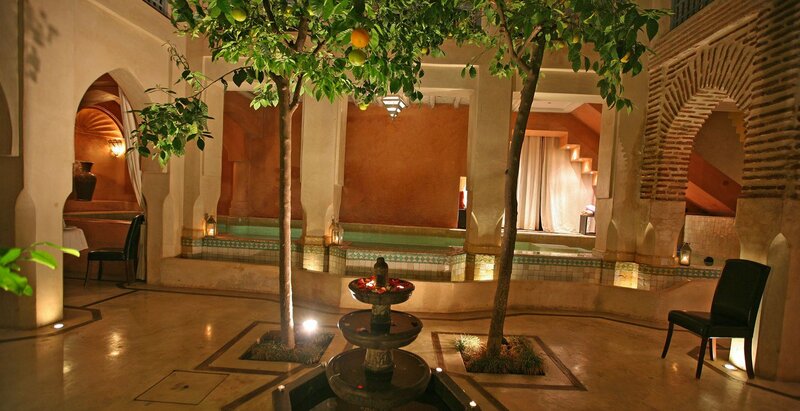 Discover the benefits of a traditional Moroccan Hammam in riad. 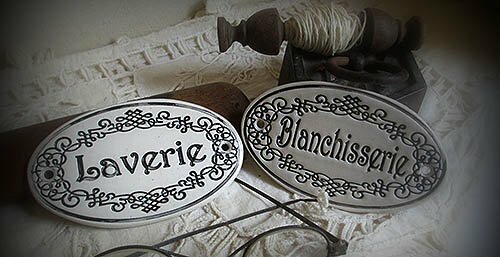 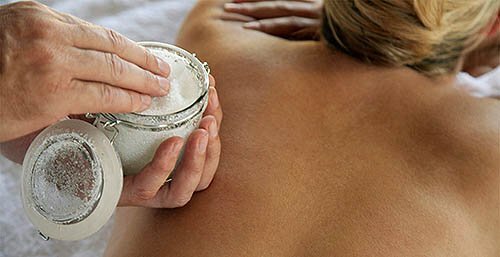 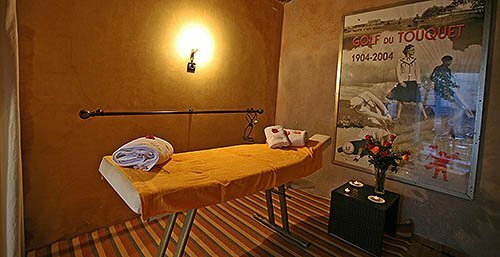 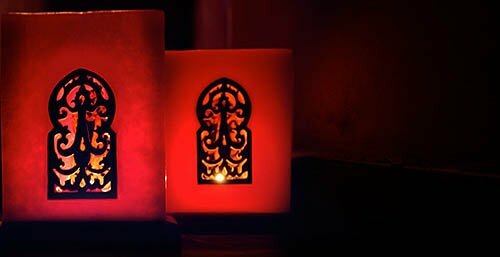 Enjoy a relaxing traditional Massage of 1H preceded by a hammam which access is free. 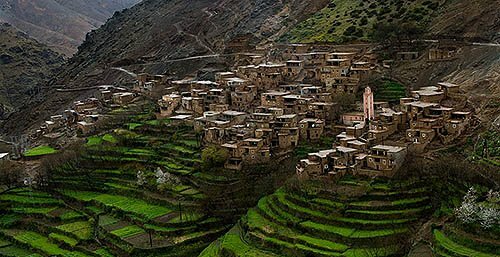 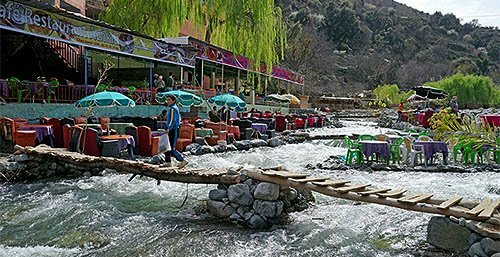 mlil is a small village located in the Moroccan High Atlas at an altitude of 1740 meters. 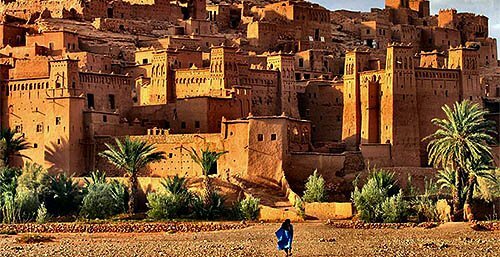 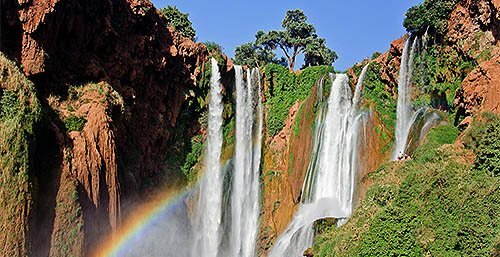 Imlil is located about 64 kilometers south of the city of Marrakech.